Networks are connecting individuals, systems and devices at an accelerating rate; this trend won’t be slowed by a wobbly economy or the chants of gloomy protagonists. We are entering the age of network connectivity. Cisco may call it collaboration, but I think it is really about the rise of connectivity intelligence on a grand scale. The real questions we should be asking our political leaders shouldn’t be about how much we should invest in the past, but rather about where this dynamic of relentless connectivity and billowing expectations will take us and how we can invest and benefit. Is this discussion really about cars or trains or steamboats or rather the network as being strategic to our future and livelihood? Already we’re seeing new manufacturing and retail processes streamlined by the network and the rise of RFID, wireless/VoIP and mobility; now along comes virtualization and the promise of the cloud. I hope our new policymakers balance the needs of current and future generations by investing strategically instead of politically. In a recent Harvard Business Review Cisco predicted that there will be 14 billion devices connected to the network in two years. Virtualization is on the march into the data center and there is already a tremendous amount of buzz about cloud computing. Mix in current initiatives like RFID, wireless/VoIP, consolidation and you have increasing pressures on CIOs to fulfill vast, billowing expectations with fixed (and in some case shrinking) budgets and static networks enabled by manual labor. This pressure promises at least the potential to drive an explosion in new IT potentials or a painful series of enterprise micro events as CIOs wonder what happened to the usually available and secure network. Now more than ever IT initiatives will depend on automation and heightened connectivity for success. I think that is part of the reason that Cisco and F5 are closely watching these dynamics and placing bets on virtualization and cloud computing. I hope our new leadership is watching as well. Cisco has handled this topic deftly by adjusting short term expectations while articulating a bigger picture vision with this recent and more forward-looking Chambers video. I think Cisco is correct in suggesting that the network will become more strategic to “the business” for many enterprises during periods of economic weakness. The network will also have to become more intelligent. CIOs are very likely to invest in making their teams more productive through automation and connectivity intelligence in order to reconcile the gaps and manual labor requirements that would play out between static networks and billowing expectations. F5 Networks also seems to be seeing where this is going as well, and is also discussing this new, dynamic network Infrastructure 2.0. I think both Cisco and F5 understand the implications of what we’re witnessing and are positioning themselves to reap the vast benefits while other players (who don’t get it or are ill-positioned to reap the benefits) obsess about the economy. Cisco and F5 are also happy to see VMware and Microsoft drive virtualization in the same way that Intel loved the migration to more powerful software programs and operating systems. More dynamic and powerful systems and endpoints will drive the push for more dynamic and powerful networks, which will unleash new commercial potentials. The theme I noted most at VMworld 2007 a year ago was “security.” This year, it seemed noticeably absent. My sense is that the industry has yet to catch up and capitalize on VMsafe. Because all of the “next generation” of offerings from VMware and the independent providers are still in development, no one made too much of security issues. The issue comes down to static infrastructure incapable of keeping up with all of the new IP addresses and devices and initiatives and movement/change already taking place in large enterprises. Adding VMotion to a production data center is a game changer for any solutions delivering service based on IP address. Change management and containment become strategic just as virtualization enables unprecedented levels of change and movement. The notion of application, endpoint and network intelligence thus far has been hamstrung by the lack of dynamic connectivity, or connectivity intelligence. Network security appliances often enforce by IP address rather than application or user. Allowing VMs to cross between zones with different security profiles is therefore problematic. So virtualization gets boxed in when it comes to the data center within hypervisor VLANS, or virtualization-lite. Virtualization-lite is VMware’s biggest threat looking forward, not Microsoft. Virtualization-lite is a Microsoft ally that will help it make tactical line extension inroads while VMware attempts to fully exploit first-mover advantage. VMware is on the front line of the move to infrastructure 2.0 even if they don’t realize it yet. They need dynamic infrastructure to accelerate the virtualization of the production data center; and the network security needs it to deliver on the VMsafe promise. Without fully-enabled VMotion the business case for virtualization looks a lot like the “mime in a box” routine; it’s still interesting, but it is not compelling enough to get enterprises to virtualize large portions of their data centers, because the promised (and sizable) savings payoff is trapped within VLAN spaghetti deployments. Limited motion means crimped savings and flexibility. Billowing Clouds: Omnipotent or Ominous? Yet there is even more pressure threatening the static network as cloud computing arrives on the IT scene, promising cloudplexes filled with racks and stacks of blade servers powering and moving VMs while reducing IT costs via more efficient services. I’m still asking what the competitive advantage is of a very large data center (whether it’s in Quincy, WA or Lenoir, NC) if network infrastructure cannot keep track of where these packets are flying? If 25% of DNS servers are still vulnerable to Kaminsky flaw just how high far can cloud computing go? Gartner addressed some of the networking aspects of cloud in their June 23rd paper: “You Can’t Do Cloud Computing Without the Right Cloud (Network).” F5 mentioned this at MacVittie’s recent DevCentral blog. Yet the network requirements (according to some experts) for cloud seem to be focused purely on scale and throughput and not the flexibility and integrity of the infrastructure, which is what I think ended up raining on VMware’s VMsafe and the paucity of offerings for protecting mobile VMs. When it comes to infrastructure, I have been arguing that the network must take more of a role in the automation and administration of public, private and hybrid clouds. 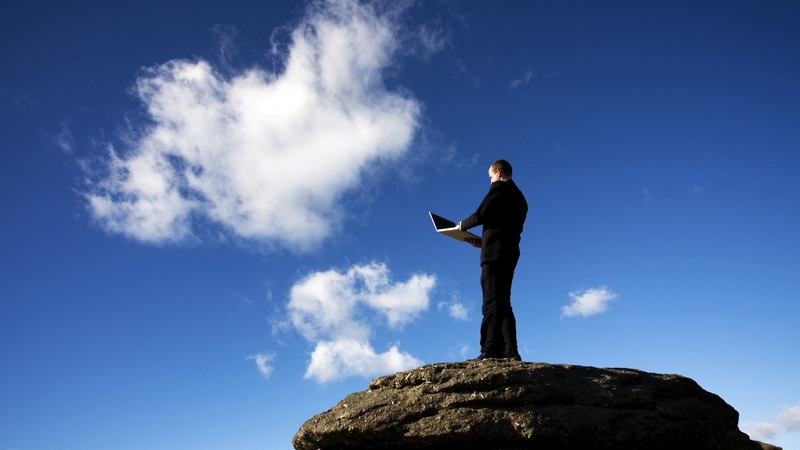 However, let me add that I now think enterprises should look at the network as a point of control over the cloud. Not necessarily to own all of that control–services such as RightScale and CohesiveFT, or cloud infrastructures such as Cassatt or 3TERA have a critical role to play in orchestration and delivery of application services. VMware charged into the data center and ran head-on into unanticipated static infrastructure demands, either internally or in the product planning rooms of their technology partners. Cloud is destined to repeat the Charge of the Light Brigade if they don’t learn from VMware’s lessons. This chasm between rising IT expectations and sobering network infrastructure budgets and realities has set the stage for a highly resilient and lucrative boom in dynamic infrastructure. This automation enables smaller network teams to manage larger and more complex networks than what was otherwise possible, delivering the levels of availability, scale and control needed for Infrastructure 2.0. About 20% of the Fortune 500 companies are now automating those services in at least some capacity. Like water is seen as being a requirement for the formation of intelligent life, connectivity intelligence is a requirement for the evolution of dynamic infrastructure, or Infrastructure 2.0. Advancements in network intelligence enable advancements in endpoint intelligence and application intelligence, and so on. 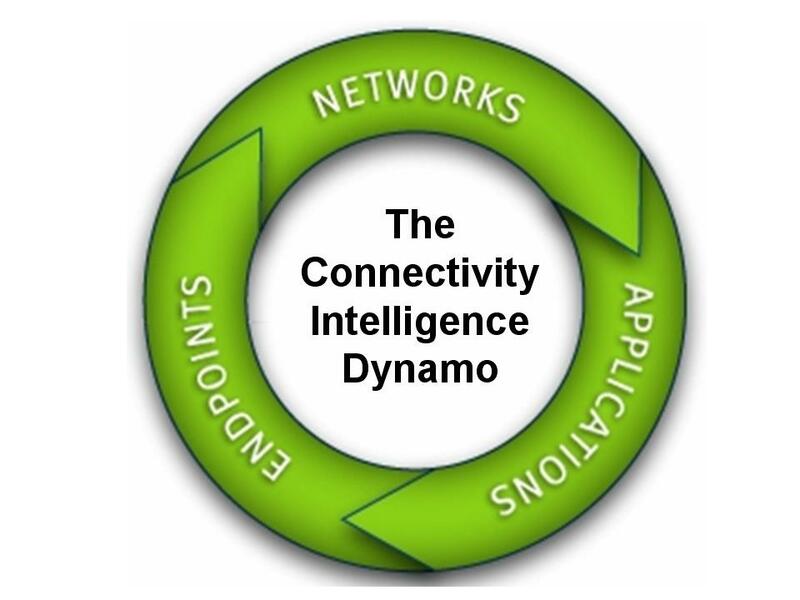 Connectivity intelligence enables real-time tracking and interconnectedness between networks, applications and endpoints. The lack of connectivity intelligence has driven up networking costs and heightened pressures on already tight budgets. VMware and Microsoft are delivering hypervisors that automate the creation, removal and movement of servers yet the network hasn’t evolved to a point it can keep up with those factors of change. And just how far will cloudplexes go if they depend on the integrity of a static network experiencing unprecedented pressures? In essence, this is the conundrum that VMware already faces, which creates massive new opportunities for Cisco, F5 Networks and others, despite economic woes. After all, budget tightening will only put more scrutiny on tired manual processes. And without automation, these networks will become progressively more expensive as more IP addresses are added. You can follow my comments in real time at: www.twitter.com/archimedius. You hit the nail right on the head there. Couldn’t have said it any better. Thanks! It has been a few years but things are certainly moving toward more agility and less manual process.